Outside shot of daycare building with potty yard. 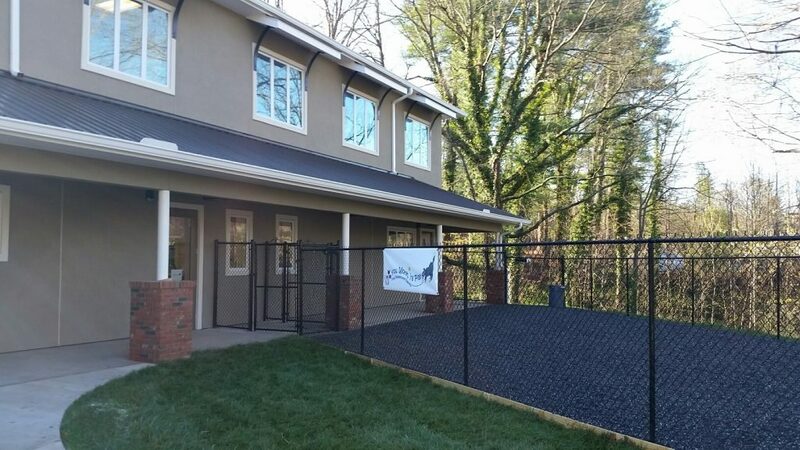 Outside shot of kennel building with exercise area. A sampling of kennel runs of various sizes. There are 11 runs total in the kennel building, all of which are at least 20 square feet to provide a comfortable space for any size dog. The largest is approximately 100 square feet, allowing plenty of room for multi-dog families.